In today’s high speed, fast paced IT environment, it’s important to be able to work quickly, and efficiently. To do this, you should learn how to use keyboard shortcuts to do many tasks. Here are few most common and very Important shortcuts for using it. CTRL and A - Selects all the items in the active window. CTRL and C - Copies the item or items to the Clipboard and can be pasted using CTRL and V.
CTRL and F - Displays the Find all files dialog box. CTRL and G - Displays the Go to folder dialog box. CTRL and N - Displays the New dialog box. CTRL and O - Displays the Open dialog box. CTRL and P - Displays the Print dialog box. CTRL and S - Displays the Save dialog box. CTRL and V - Pastes the copied item or items from the Clipboard. CTRL and X - Cuts the item or items selected to the Clipboard. CTRL and Z - Undoes the last action. 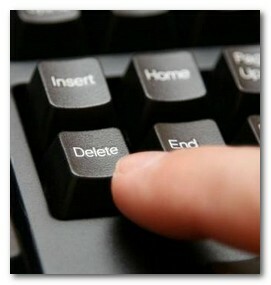 CTRL and F4 - Closes the active document window. CTRL and F6 - Opens the next document window in the active application.